Solutions To Banditry: The lawmakers berated the Nigerian government over its inability to tackle the alarming rate of insecurity in the country, stressing that introduction of state Police remained the only solution to the menace. 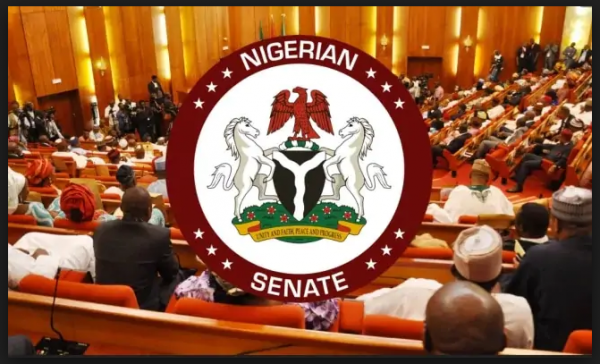 The Nigerian Senate has said state policing and proper funding of the Nigeria Police Force (NPF) are the solutions to the banditry in some North-Western states of Nigeria. Bukola Saraki, Nigeria’s Senate President, said this during the plenary on Wednesday, following a motion by Senators Emmanuel Bwacha from Taraba State and his colleague from Zamfara State, Kabir Marafa. The lawmakers berated the Nigerian government over its inability to tackle the alarming rate of insecurity in the country, stressing that introduction of state Police remained the only solution to the menace. Responding to the motion of the two lawmakers, the Senate President said apart from the establishment of community or state police, the funding of the Nigeria Police Force was essential to tackle the menace. He said: “From the contributions we have had, I think it is key that we begin to look at the problem and look for long-term solutions. I think that what we did yesterday (Tuesday) in trying to strengthen the funding of the Police through the Police Reform Bill is right. In its resolution, the Senate commended Nigerians, irrespective of cultural, religious and ethnic differences, for coming out in large numbers to show solidarity with the plight of victims of banditry in Zamfara. The Senate also deliberated on making provision for N10billion in the 2019 appropriation bill as intervention fund to cater for Internally Displaced Persons and other persons affected by the activities of bandits in Zamfara State. The Senate also urged the government to set up an ad hoc committee to be known as Presidential Initiative on Zamfara with a 10-year lifespan to manage the said funds and subsequent allocations and donations. Marafa said: “Since 2011, as a result of the unabating activities of the criminals in the state, roughly estimated 11,000 males have been killed, leaving behind an average of 22,000 widows and by extension, 44,000 orphans. Bwacha, on his own part, alerted the red chamber to the series of kidnappings in his state and suggested that there should be legislative backing for individuals who want to carry arms for self-defence.